Below is the list of people suggested by the Tactical Philanthropy community as potential successors to Paul Brest. Given the number of emails I got from readers (I’m intrigued that not a single person made a public suggestion via a comment, but instead most emails reiterated the importance of anonymity), I’ve listed those people who were suggested by at least two different readers. If your suggestion didn’t make the list or if you have yet to make your suggestion, leave your thoughts as a comment to this post. Jeff Bradach: Jeff is co-founder and managing partner of the Bridgespan Group, a nonprofit consulting firm well know for their work with foundations and philanthropists. Phil Buchanan: Phil is the president of the Center for Effective Philanthropy, a leading research organization focused on providing information to help improve the effectiveness of foundations. Jim Canales: Jim is the president of the James Irvine Foundation and is well known for pushing the philanthropic field to be more transparent. Jed Emerson: Jed has played many roles in philanthropy and impact investing. 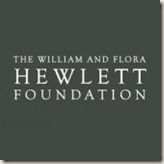 He has worked in the past at the Hewlett Foundation and is well known to most readers of this blog. Katherine Fulton: Katherine of president of the Monitor Institute, a consulting firm and think tank focused on working with organizations seeking to achieve social impact. Paul Grogan: Paul is president of the Boston Foundation where he has a led a shift at the foundation to focus on making unrestricted, general operating support grants. Michael Kaiser: Michael is the president of the Kennedy Center for the Performing Arts. Before entering the social sector, Michael founded a strategic planning firm that worked with large corporations. Grant Oliphant: Grant is the president of the Pittsburgh Foundation. Grant is outspoken, shows up regularly in blogs, video chats and other public venues and has a history of supporting philanthropic infrastructure. Sonal Shah: Sonal was the first head of the Office of Social Innovation at the White House. Prior to working there, she was head of global development initiatives at Google. Sonal recently left her position at OSI. Paul Shoemaker: Paul is the public face of the Social Venture Partners movement and has been deeply involved in many initiatives to advance the field of philanthropy. Nancy Roob: Nancy is the president of the Edna McConnell Clark Foundation, a foundation known as a leading practitioner of evidence-based grantmaking and the recipient of the largest grant from the Social Innovation Fund. Bob Ross: Bob is the president of the California Endowment… and he has a blog! Albert Ruesga: Albert is the president of the Greater New Orleans Foundation and is well known to philanthropy blog readers as the author of the White Courtesy Telephone blog. Jane Wales: Jane is president of World Affairs Council of Northern California, president of the Global Philanthropy Forum and president of the philanthropy program at the Aspen Institute (yes, all three). She’s also host of the nationally syndicated NPR radio show “It’s Your World”. Al Gore: This one only got one mention. But I add it in because it is oddly appropriate. Vice-president Gore has been out of politics for some time and focused on environmental issues (a core program for Hewlett). In the age of the Giving Pledge, might taking over the presidency of a multi-billion dollar foundation be a new role of choice for ex-global leaders? I think this is a fascinating list. It is far from exhaustive, but certainly seems to line up well with the list of characteristics I said I was hoping to see in Hewlett’s next president. However, I have a challenge to the Tactical Philanthropy community. Where are the leaders of nonprofit organizations on this list [update: I meant nonprofit direct service organizations]? Might not a major foundation and the field of philanthropy benefit from at least considering the leader of a top nonprofit organization? I hope you will consider adding more suggestions to this list or adding your thoughts to those who have been named in the comments section. I had not thought of Paul Grogan. That’s a good call. I am intrigued and support the idea of a leader of a national NGO who is aware of the challenges NGOs face. That appeals to me more than someone from academia. Personally I would lean towards a person who comes from a group that is more advocacy than conservation based. But would the Hewlett Board accept someone like that? That’s a big question mark. Very interesting list. What strikes me is that almost all of the suggestions already hold an executive director / president type position within their organizations. As a reader community, we didn’t come up with any second tier suggestions that would be moving up into this kind of role. Does that suggest that those type of candidates are not that well known or not well positioned to take on this role? In all seriousness, the lack of nonprofit organization suggestions may represent our own limitations in thinking about the question. And that probably speaks to the bias of thinking that philanthropic leaders need to come from within the foundation sector. As readers, we also didn’t identify any possible academia suggestions. I updated my comment about nonprofit orgs to “direct service” nonprofits. My wording was sloppy. Good point about people who can step up into the role. I would guess that’s due to limited visibility within the sector. Academia is a good point. I got a number of people saying it shouldn’t be from academia. But Ed Skloot comes instantly to mind for me. I wouldn’t expect a Fortune 500 leader to necessarily make the switch to the non-profit sector due to compensation disparity plus their position to allocate and influence monies for their company’s charitable and community investments. However, might there not be a for-profit executive who has been held accountable for results, directed a multi-million dollar enterprise, and could offer “out of the sector” refreshing thinking? Jay, I was surprised that there were not more suggestions of people from for-profits. However, while I’m open to people from any sector, I do think that the Hewlett president doesn’t need “fresh thinking” so much as a deep understanding of where the field of philanthropy currently is and where it can go. They would also need deep contacts in the field if they hoped to influence it. Michael Kieschnick, one of the most creative, innovative and tenacious public policy practitioners around. Michael Kieschnick is president and co-founder of Working Assets, a telecommunications company that donates a portion of its revenues to progressive nonprofit groups and engages its members in civic activism. Under Michael’s direction as president, Working Assets has grown dramatically, from $2 million in revenues in 1991 to more than $100 million today. Michael has been a key founder in four companies and three nonprofits. He currently serves on the boards of The Beatitudes Society, Sojourners, the American Environmental Safety Institute, the League of Conservation Voters Education Fund, and the Ballot Initiatives Strategy Center Foundation. He has written several books on capital markets and development, most recently Credit Where It’s Due (with Julia Parzen), the authoritative study of development banking. For many years, he was a lecturer at the University of California, Berkeley, teaching a graduate seminar on financial innovation. He currently teaches a class on social innovation at Stanford University. Michael earned bachelor’s degrees in biology and economics at Stanford University, and a Ph.D. in Public Policy from Harvard University. I love the Al Gore suggestion! Although he might not have time for it… he has his own deep agenda. I really admire how he’s using his time on earth these days. I have worked in nonprofit/foundation field for over 35 years, including being head of first agency to launch national service and AmeriCorps. Also worked for a spinoff of Ford Foundation –Police Foundation —-in the days when we really did make some dramatic differences in policing. 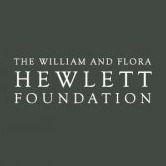 And have had grants and worked closely with Hewlett and many of the other national foundations. This background is to say —I have been around, seen the incredible difference a private foundation can make. So with that background, I am nominating Lance Fors, who has the first hand experience of taking small good nonprofit ideas and making them big, is brilliant, a natural teacher/mentor on the big scale, and has had a successful career in the for profit field. Lance Fors received his BA from UC-Berkeley and his PhD from the California Institute of Technology in molecular biology and was Founder and CEO of Third Wave Technologies, building it into a leading biotechnology company. Since selling Third Wave, he has focused on social change and entrepreneurship. Lance has also been the long-term board chair of New Teacher Center, Reading Partners and Silicon Valley Social Venture Fund (SV2) helping them achieve up to 75% compound annual growth and become leaders in their fields. In addition, Lance is chair-elect of the International Association of Social Venture Partnerships, a board member of Growth Philanthropy Network and Jumpstart, and an advisor to New Schools Venture Fund, New Profit, and Ashoka, and lectures on the potential for nonprofit governance to provide transformational leadership. He is the kind of national leader that the field needs right now. Thanks Catherine. You’re now the second person to suggest Lance. He’s a great guy.